The last time we talked about CyanogenMod for HP TouchPad was when its first Alpha was released to the general public. Since then, two Alphas has been released with the 3rd Alpha being released just a few days ago. In this post, we’ll be guiding you on how to flash/update to CyanogenMod 7.1 Alpha 3. Details after the jump! The news comes from straight from Rootzwiki – a popular Android modding community – in the form of an update to the official thread for CM7.1. Plenty of bug fixes, both big and small, have made it into the update. You can check them in the change log posted below. If you’ve already got CyanogenMod 7.1 Alpha 1 or 2 installed on your TouchPad, follow the steps below to update to Alpha 3. Otherwise, if you’re installing it for the first time, you can follow our original guide for Alpha 1 after downloading Alpha 3 .zip from Step 1 below. Note which folder it is downloaded to so you can navigate to it in Step 4. Step 2: Hold Power button until a menu shows up. Tap on Reboot > Reboot to Recovery. Step 3: Your HP TouchPad will now reboot into ClockworkMod Recovery which is a powerful custom recovery. CyanogenMod 7.1 Alpha 3 will now be flashed to your HP TouchPad. Step 5: From main menu, select reboot system now. 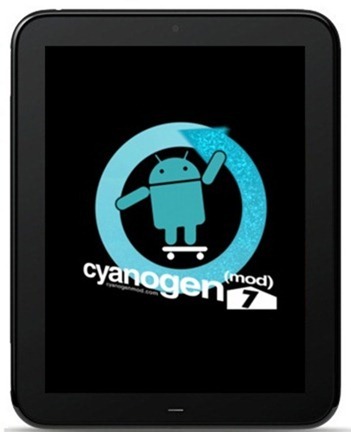 If you followed the steps correctly, your HP TouchPad will now boot into CyanogenMod 7.1 Alpha 3 based on Android 2.3.7 Gingerbread. If you have any queries, you can check out the official thread here.